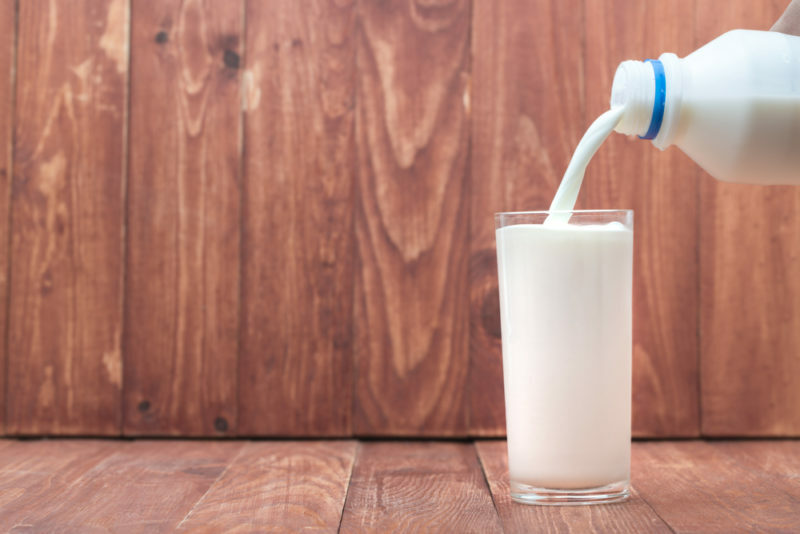 In an effort to join the health revolution, many households have switched over from dairy milk to soy milk. 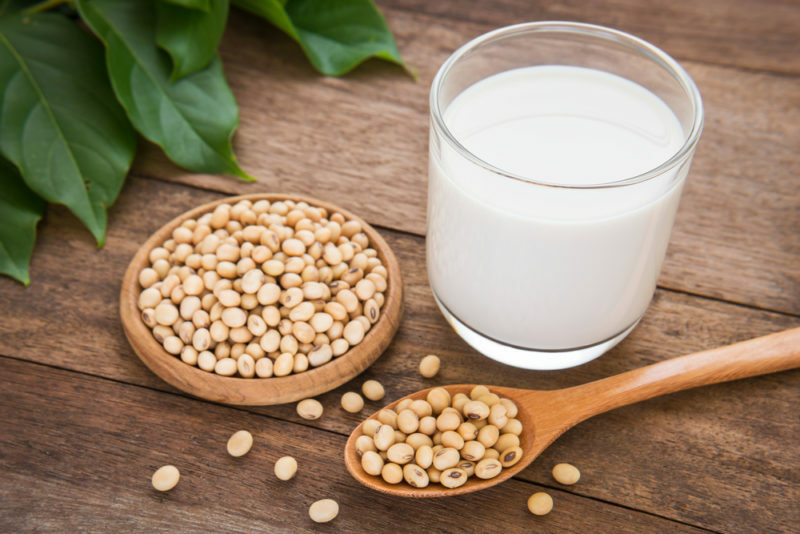 Unlike milk from a cow, soy milk contains no lactose, so for people who avoid dairy, like vegans or those who have a lactose intolerance, soy milk seems like a good choice. Fortified soy milk is even a good source of protein, iron, B vitamins and calcium, while being low in saturated fats and cholesterol. Sounds good on the surface, right? The only problem is that research has shown that consuming soy milk can put your health in serious danger. Most of those ingredients probably sound familiar, and they don’t seem all that bad, but carrageenan may be one that you’re unfamiliar with. Carrageenans are a family of linear sulfated polysaccharides that are extracted from red edible seaweeds. They’re commonly used int the food industry for their gelling, thickening and stabilizing properties. Not only is the body not able to digest carageenan, it has no nutritional value whatsoever. Even though it’s derived from a natural source, it’s destructive to the immune system. It triggers a negative immune response that causes inflammation. Research has linked carrageenan to a higher rate of colon cancer, along with gastrointestinal inflammation that can cause IBS, spastic colon, chronic diarrhea and inflammatory bowel disease. 1. Soybeans contain large quantities of natural toxins that affect estrogen levels. Drinking just two glasses of soy milk a day can significantly alter the hormones in a woman’s body, disrupting the menstrual cycle. 2. Soybeans contain haemagglutinin, a clot-promoting substance that causes red blood cells to clump together. 3. About 99% of soy is genetically modified, so it contains one of the highest pesticide contamination levels. 4. Soybeans and soy products contain high levels of phytic acid, which inhibits the assimilation of calcium, magnesium, copper, iron and zinc. 5. Soy foods contain high levels of aluminum, which is toxic to the body. It negatively affects the nervous system and the kidneys, and it’s been linked to Alzheimer’s disease. 6. Fragile soy proteins are exposed to high temperatures during processing to make soy protein isolate and textured vegetable protein. This makes them dangerous for human digestion. 7. Soy contains toxic isoflavones – genistein and daidzein. They can stimulate the growth of existing breast cancer. 8. Soy contains plant estrogens called phytoestrogens, which disrupt endocrine function and can lead to infertility and breast cancer in women. 9. Soy foods have high levels of goitrogens which block production of thyroid hormones.